Each summer, Lindsay Popple travels to isolated parts of the Australian outback to capture the sounds of its insects and birds. He specializes in obtaining recordings of unique and previously unknown species of cicadas and making these sounds available to the modern world in the form of sound effects and ring tones. 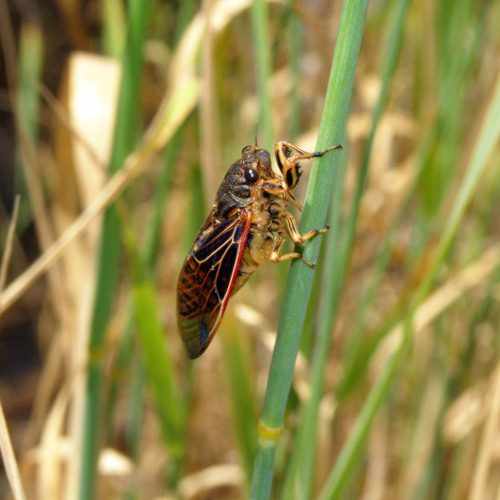 Lindsay has been capturing the sounds of cicadas and other aspects of nature for 12 years. He holds a PhD in zoology and has discovered and described many new cicada species. Having previously studied guitar through Trinity College (London), Lindsay is also an accomplished classical guitarist and composer. He weaves his own unique style through a platform of improvisation.